Those who have worked part-time while balancing studies as a university student will be able to relate to how stressful it can be. From spending hours doing an odd job for a steady income to handling the workload from classes, not everyone finds themselves able to do it. That’s why Andrew Chee together with his co-founder, Tan Wei Yong, initially just wanted to try doing a small business to generate enough income to cover their student expenses. But when they found out the platform they built had a huge potential for growth, they decided to pursue it and see how far it could take them. 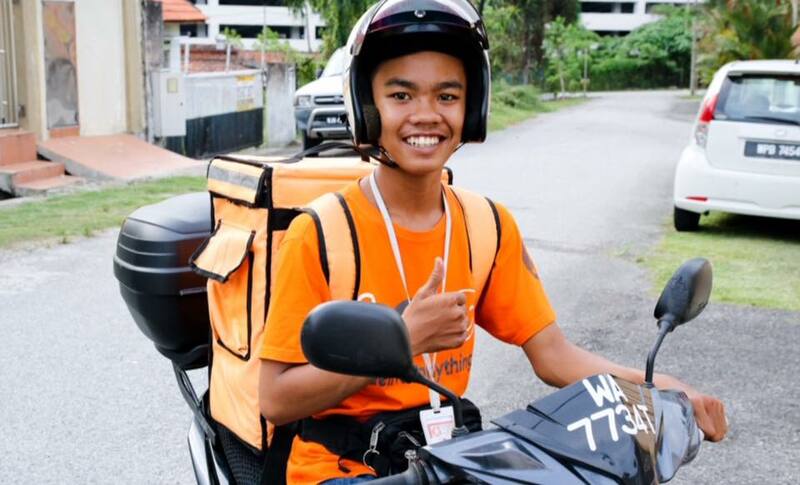 Their beginnings were on a rather small scale where they provided a food delivery service for their fellow students in their university in 2014. It wasn’t until April 2015 when Andrew started to look into bringing the business online and forming a bigger platform there. Not long after the planning stage, they launched RunningMan in May 2015 and have been working on it until today. 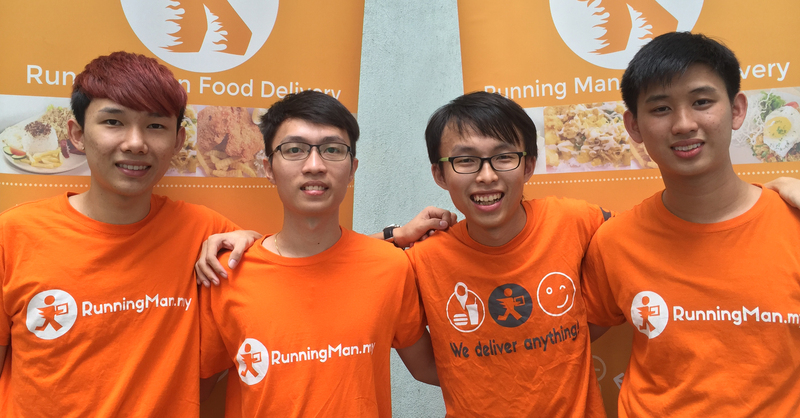 RunningMan is an on-demand e-commerce platform that allows users to connect to shops located within their neighbourhood and have the RunningMan delivery team send the items requested straight to their doorstep, from food and groceries to cooking gas and pet supplies. They opted to go for the name RunningMan for the sake of having a business name that sounded friendly and was easy to remember. Due to there being a popular South Korean variety show with the same name, the team decided to go on ahead for the sake of their publicity rising from it. “Our company vision is to form a community of delivery men who can provide fast delivery. We want the image of our brand to be of an iconic delivery superhero where people will be saying ‘RunningMan has come’ rather than ‘Your delivery is here’,” said Andrew to Vulcan Post. Currently their services range within the Kuala Lumpur region only and they offer their deliveries with no minimum order. This means that small items, even lollipops, can be delivered on-demand. Being young entrepreneurs has its downs. Andrew shared how RunningMan’s biggest challenge to date was actually the formation of the team itself. Though they began their journey with 4 people, in between they changed the team members around 6 times before they decided the current team was right. “Since we are young, we couldn’t really work well with people who have an age gap with us in the beginning, therefore our partners are all almost the same age which makes communication easier for us. However, also because of our age, not everyone has the entrepreneurial spirit or the determination to sacrifice in order to achieve something greater. That is why most of our ex-partners left,” shared Andrew. There has also been a lot of misconceptions from merchants who used to underestimate the young team, thinking they were a bunch of immature kids that used funds from their parents to create their startup, which Andrew clarifies is not the case. He shared that the RunningMan business was started with just RM400 and it was all from their own pocket. However, the team managed to overcome these adversities and have seen a growth in their enterprise after around a year. To date, they have 7000 users who have tried or paid for their service and up to 2800 deliveries a week, with an average of 400 deliveries a day. “We are gaining these numbers mainly due to 2 reasons. Firstly, we maintain high user retention rate of 75% and secondly, we started to partner with some e-commerce sites like Lazada and others where we assist them in their express/same day delivery services,” said RunningMan. RunningMan garnered public attention when they successfully reached their target amount of RM175,000 (US$43,350) within 24 hours of their pitchIN Equity crowdfunding going live on Aug 22. Andrew says that he owed it to Sam Shafie and Kashminder, the founders of PitchIn and WTF Accelerator due to their help in connecting investors with RunningMan regarding their ECF fundraising even before it went live. This helped in boosting their publicity to potential investors prior to their crowdfund event. “We had already met some of the investors before and they had already shown their interest, such as Nexea Angels which we are happy to have them on board. We’re hoping our collaboration will help us run faster and further,” said Andrew. With the funding in their hands, RunningMan aims to focus their efforts in developing better technology to strengthen their e-commerce platform and market it properly. “We also hope to fully cover Klang Valley by March 2017. From there, we will take a few months to strengthen the covered area and start to expand to other capital cities such as Penang, Melaka and Johor Bahru right after that. Our plan is to cover most of the capital cities in Malaysia by 2018,” said RunningMan.